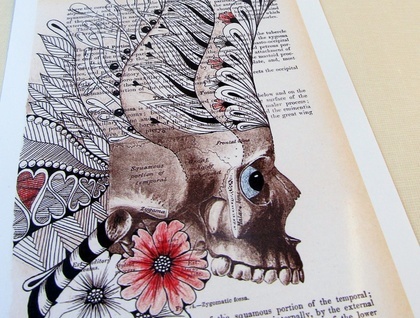 This is a print of original art by Jo Newsham. 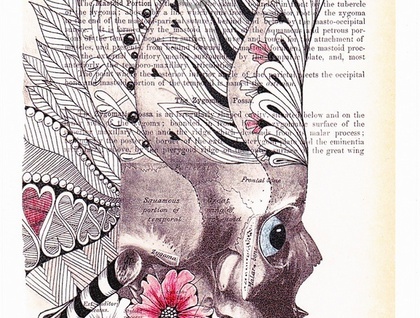 The piece was hand drawn on a vintage text book page, incorporating the original illustration. The discolouration in the print background is the aged patina from page. 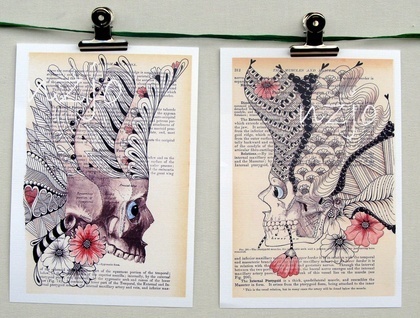 This is part of my Anatomy Series - re-purposing and up-cycling old books. This print is part of a pair. Lovers should be together in life, and in death....check the listing.